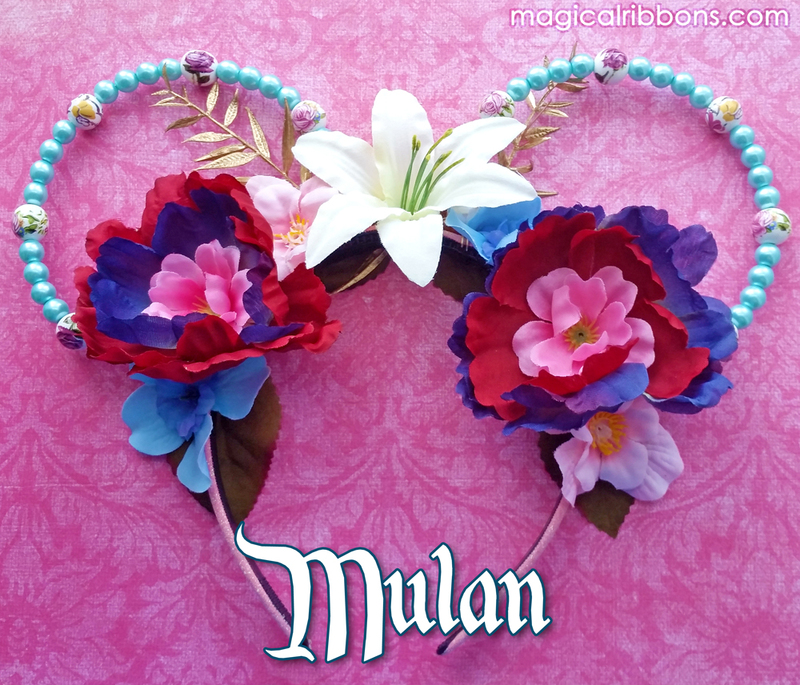 Show off your favorite characters with your own Mouse Ear Flower Crown! 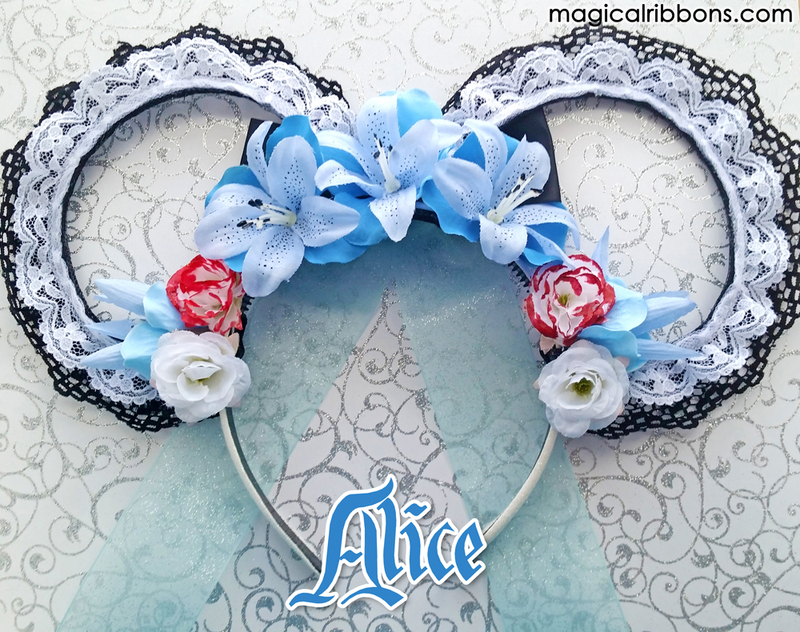 Choose from a premade design, or order a custom crown to match your needs! 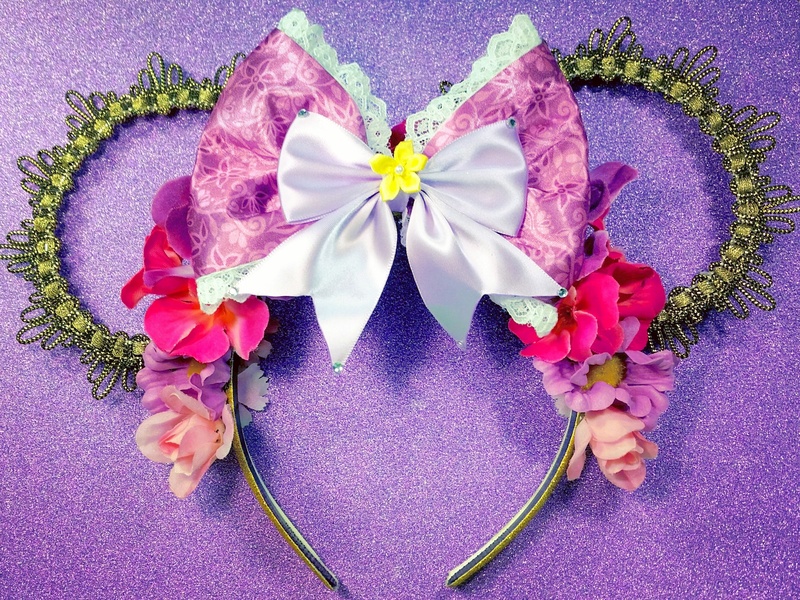 Bows are not included, they are sold separately so you can interchange any bow on the flower crown! Bows are NOT INCLUDED in the price of the crown unless otherwise stated. 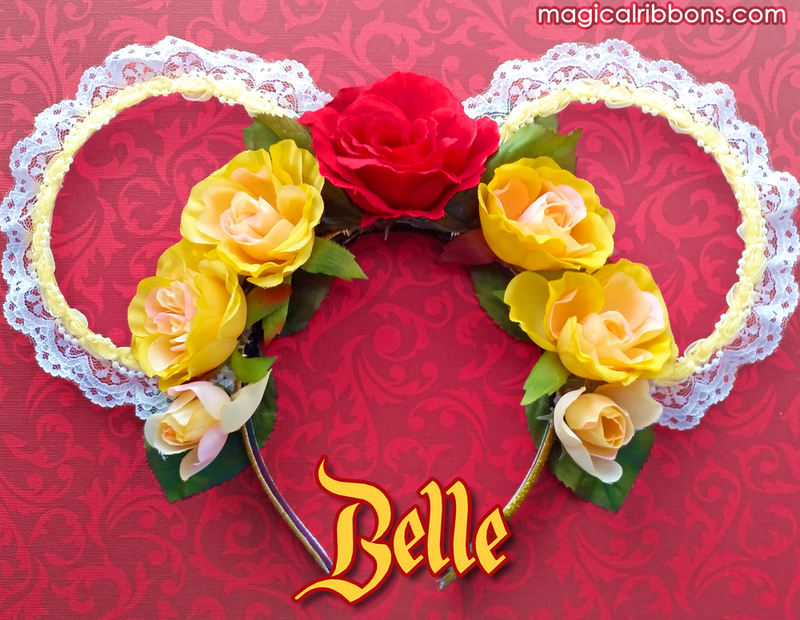 You can choose any bow on the site to attach to the crown and wear! Mix it up! 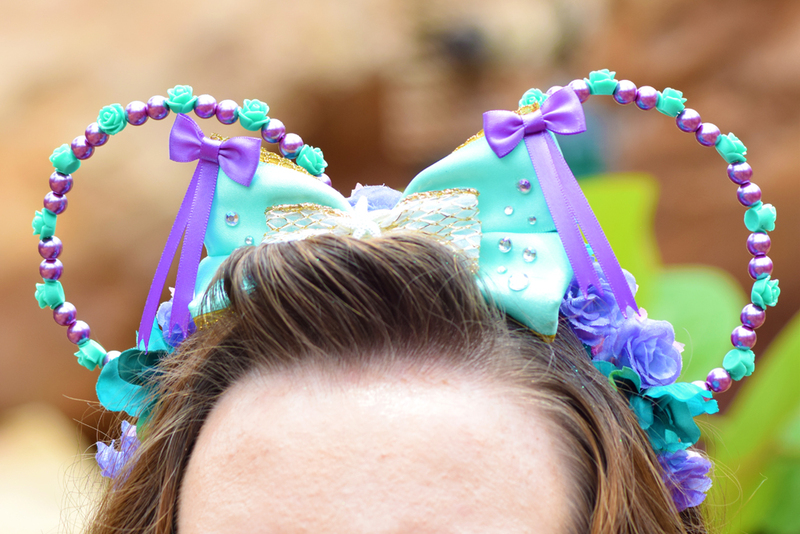 This allows you to wear the bows without the crown as well! 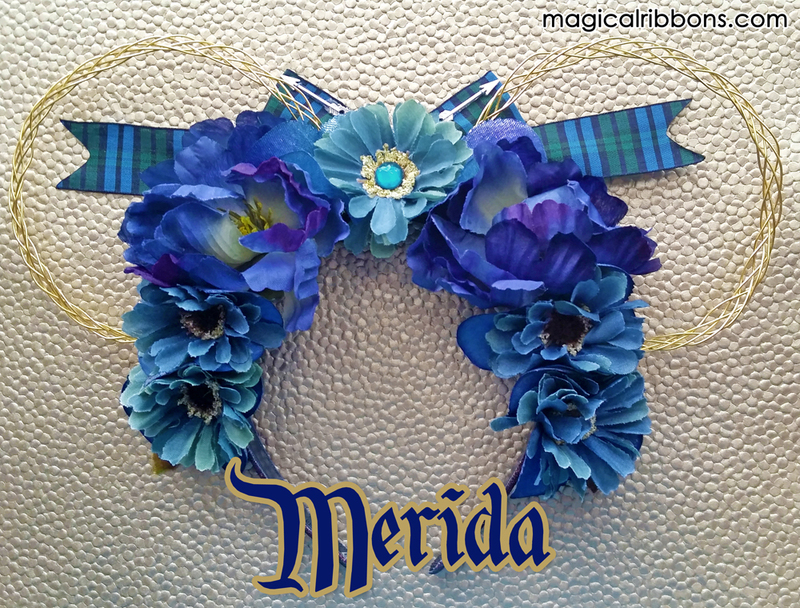 All crowns, unless otherwise stated, come with a loop of ribbon for you to attach any bow to, including ones you already own! 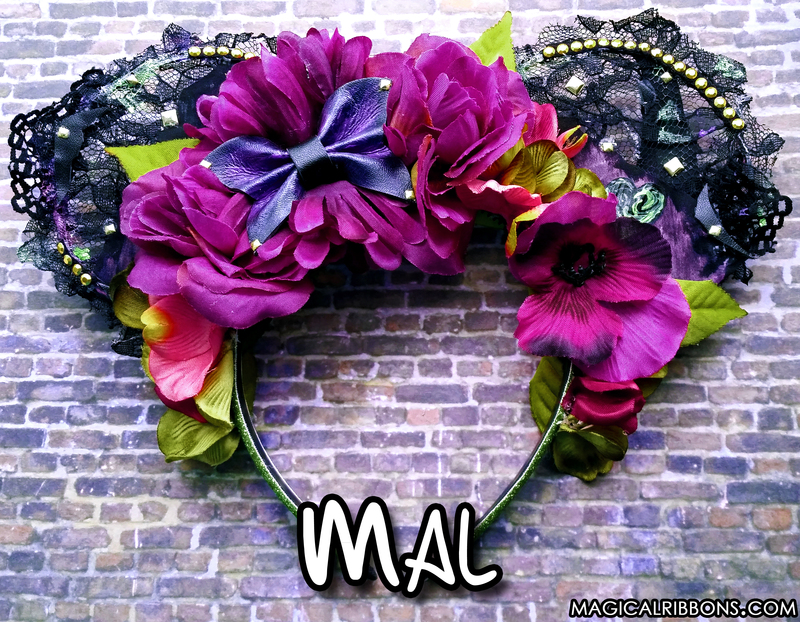 For custom crowns, contact me at hayleysmagicalribbons@gmail.com to discuss the design! The ears are made from wire and are malleable, they may need adjustment to shape them back into the correct shape once in awhile. 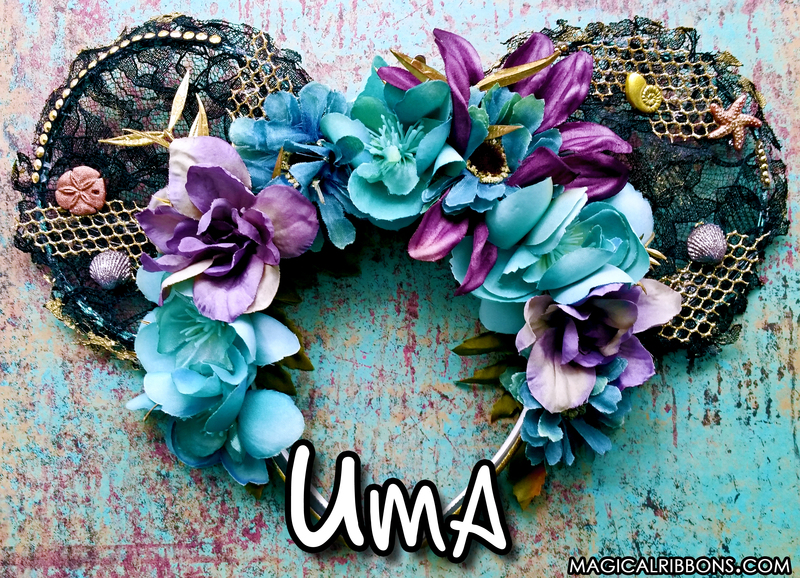 The headbands can snap if you are not careful and soft when taking them on and off. 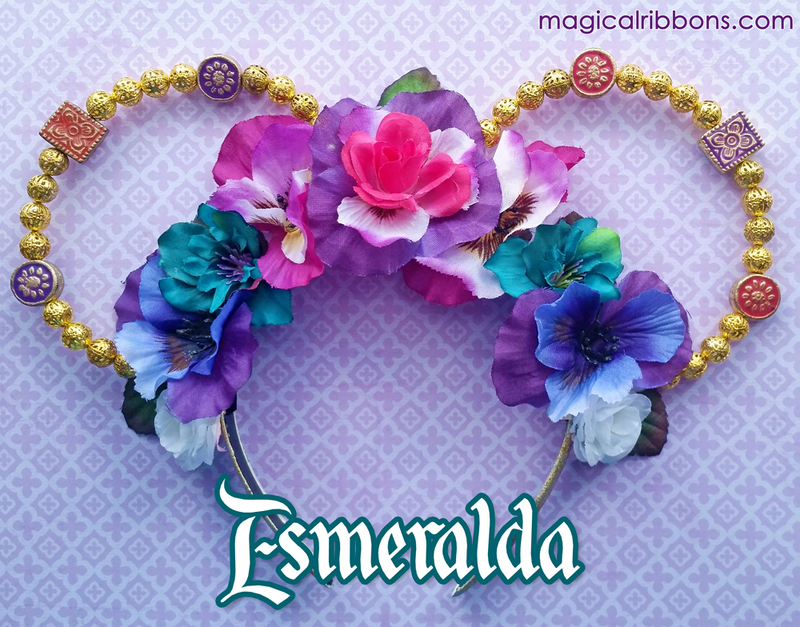 Mouse Ear Flower Crowns are not eligible for Order Upgrades or the Ships Quick Service due to the amount of time it takes to research, design, and make one. 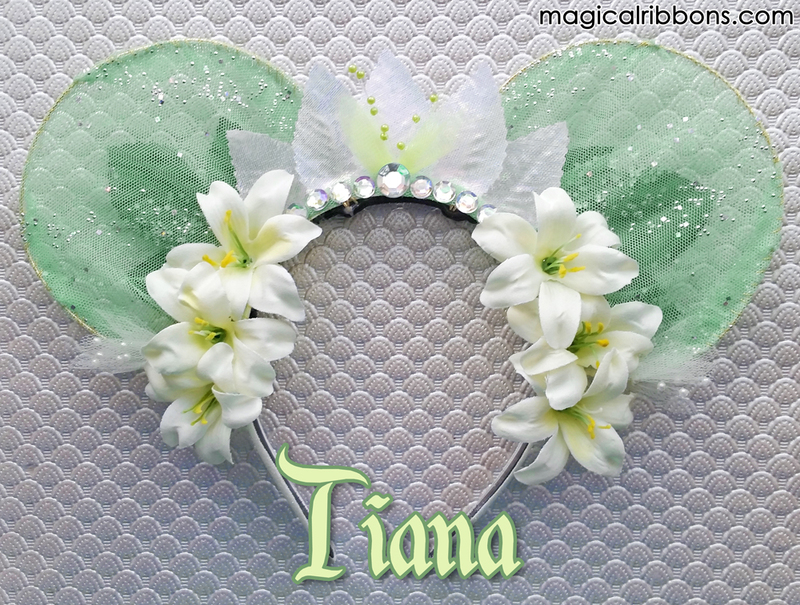 Coupons are not valid on Mouse Ear Flower Crowns unless otherwise stated. Bows are still eligible for coupons and sales. 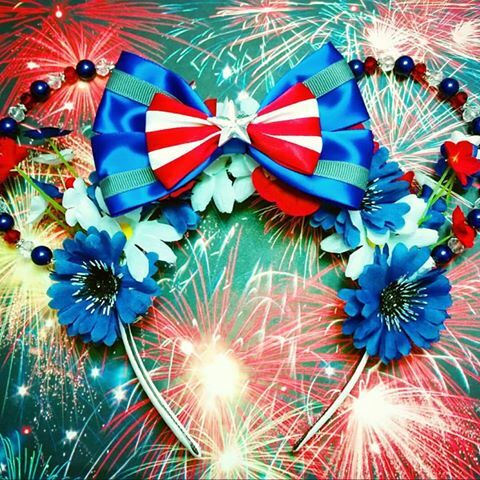 Please be prepared to wait the maximum estimated wait to receive your Mouse Ears Flower Crown. 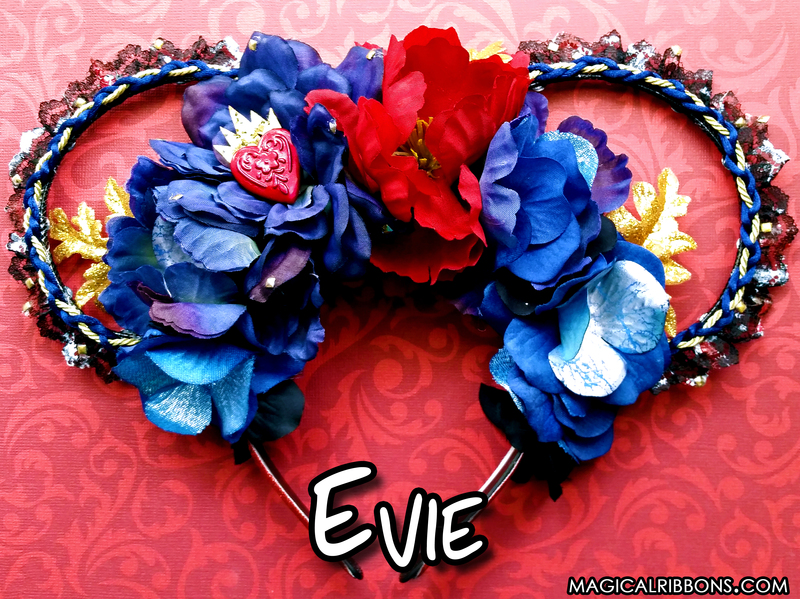 We ordered several (eleven in total) customized Mouse Ears Flower Crown, and I could not be happier with every single one of them. Every single pair is gorgeous, expertly made as usual, and you can tell it is a great quality product. The customizing process was fast and easy, and Hayley made sure to contact us whenever she had certain details she wanted to run by us before applying them to the ears. 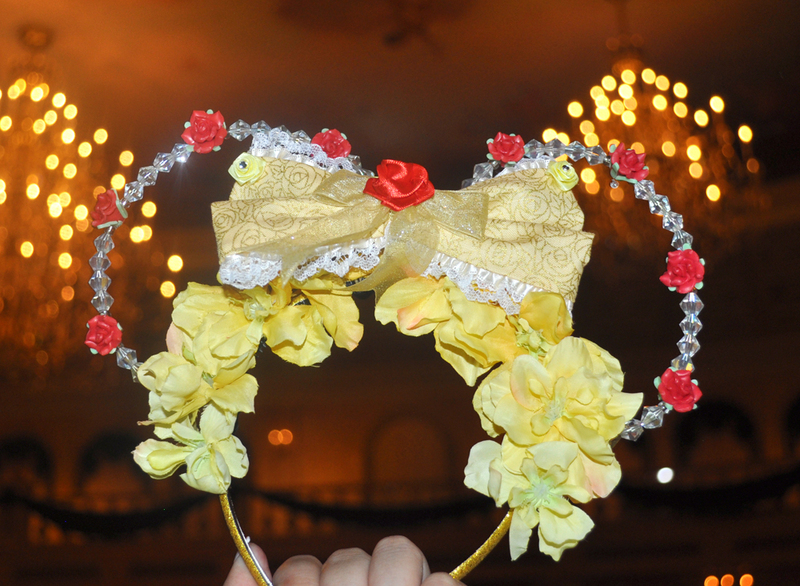 We got so many compliments wearing them at WDW in June, and I can’t wait to order some more.